Agricultural development is necessary for the overall financial prosperity of the agricultural workers. The current government of Andhra Pradesh will soon implement a new scheme for the benefit of the farmers. 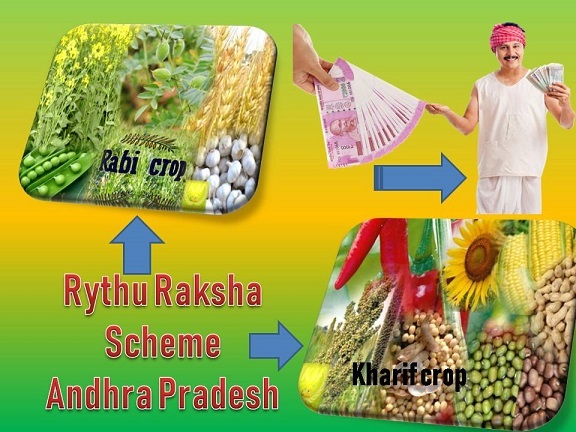 The name of this scheme is Rythu Raksha Scheme. A similar scheme has already been implemented in Telangana Rythu Bandhu Scheme. Under this scheme, the state authority will transfer a significant amount in the bank account of applicants. Rs. 5000 for every acre of land, for Rabi and Kharif respectively will be offered to every farmer. To know about the eligibility and application process, read the article now. Development of farmers – The successful implementation of this scheme will ensure the development of the common and needy farmers in the state. Financial assistance – It has been mentioned in the scheme draft that the state government will offer a total of Rs. 10000 to all eligible farmers. Money to be used for agricultural supplies – The money that will be offered by the AP government must be used for buying agricultural supplies. Farmers will be able to use the money to purchase high quality seeds, fertilizers and bug repellents, to ensure better yield. Kharif and Rabi crops – All applicants will attain Rs. 5000 during the sowing of the Rabi crop and the other Rs. 5000 will be offered for preparing the farm before the Kharif crop. But the total amount will be deposited in one installment. Payment amount depends on plat size – The total amount that any applicant will get will depend on the total measure of the farm. For every acre, the state government will deposit Rs. 10,000 annually. DBT payment mode – Possessing a bank account is a must for all farmers who wish to attain the benefits. The state government will pay the grant via Direct Benefit Transfer or DBT. Thus, an active bank account is a must. Implementation in phases – The state government will implement this project in separate phases. It will help in proper monitoring and distribution of benefits. In upcoming phases, the state will also include tenant agricultural workers. Residents of the state – The AP government will arrange the funds, necessary for the benefit of the applying farmers. All interested candidates will have to submit copies of their official residential certificates to attain the financial assistance from the state. For farmers only – Only those people, who are associated with farming on a full time basis, will be able to register and attain the financial help from the state. Poor/Small/Marginal/Tenant farmers – In the preliminary announcement made by the Andhra Pradesh Cm, it is clear that only poor famers will attain the financial benefits. Small and marginal agricultural labors will get the money from the state authority. For this, the applicants must submit their certificates. Personal ID proof – All interested farmers will have to submit photocopies of voter card, ration card or Aadhar card to help the government officials make background checks on the candidates. Bank account details – The money will be deposited in the account of the farmers directly. It is mandatory for the applicants to furnish the details like the bank account number, branch code, bank name, IFSC code for proper money transfer. The scheme has not yet been officially announced and implemented in the state. Soon the state cabinet will organize a meeting, where the final rules and application procedure will be finalized. After this, the state government will take necessary steps to implement the scheme for the betterment of poor agricultural workers. Once the final decisions have been taken, we will provide the scheme related details on this site. The state is confident that it will be able to pave the path for better farmer prosperity in the state. The Andhra Pradesh government will offer more money that what the Telangana government is offering. Schemes like this will ensure that poor farmers don’t have to face any financial handicaps before the sowing season.